July 18-20, 1969, the weekend of the moon landing, was the Kennedy family’s House Of Medici moment: its public values embodied by the televised journey of the Apollo spacecraft; its ambitions by a simultaneous backroom scramble to stage-manage the death of Mary Jo Kopechne, one of the late Robert F. Kennedy’s Boiler Room Girls, in a upturned Oldsmobile Delmont that Senator Ted Kennedy, the last surviving Kennedy son, had crashed into a pond on Martha’s Vineyard after a party. Kopechne’s was a slow death by suffocation, trapped in Kennedy’s car while the Massachusetts senator prepared for potential fallout, its horror a metaphor for the amoralities of power. But then, these irresistible elements of gruesome Greek tragedy are essential to the Kennedy myth. 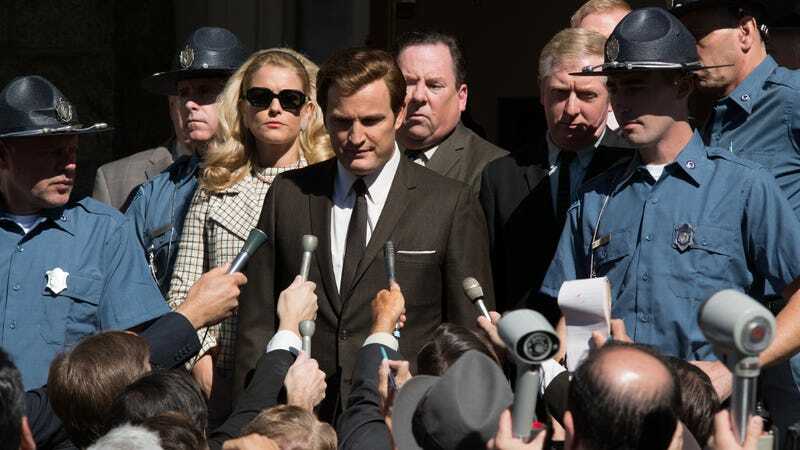 Dramatizing this revealing episode in the history of American dynastic politics and political theater, director John Curran (The Painted Veil, Stone) portrays Senator Kennedy (Jason Clarke) as half stooge of his family legacy, half schemer, equally paralyzed by ego and insecurity. Taylor Allen and Andrew Logan’s script finds a natural early analogy in his bad back (he wears a brace under his suit), the result of a 1964 plane crash that killed a campaign aide; it’s also smart enough to recognize the theatricality of the “Kennedy curse” as a subject worth interrogating. 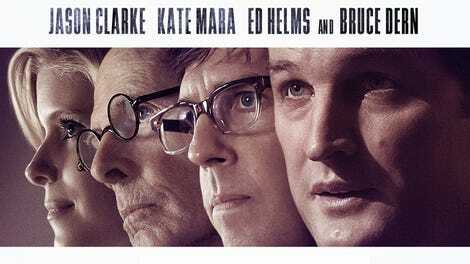 Here is a family that entrenched itself in the American imagination by campaigning on symbolism, and Chappaquiddick hits its better strides when it turns the camera on the relationship between its stars and script doctors. The most prominent among the latter are Paul Markham (Jim Gaffigan), former U.S. Attorney for Massachusetts, and Joe Gargan (Ed Helms), a Kennedy cousin and behind-the-scenes fixer who serves as the story’s compromised conscience. Partying with young, single female staffers of the Robert F. Kennedy presidential campaign on the far end of Martha’s Vineyard, they become Ted’s first accomplices after he leaves the party with Kopechne (Kate Mara) and takes a wrong turn off a bridge. But though they’re the first, they are hardly the last, as Democratic Party operatives, public relations men, and advisors are brought in to save the senator’s political career, public image, and his chances of a presidential bid. Curran, a competent filmmaker whose thematic seriousness is frequently undercut by a lack of directorial personality, tracks their conspiratorial errands and shifting official stories in the style of a David Fincher procedural, mimicking everything from the scores to the camerawork, with its preference for dim lighting and angles just below the eye-line. But he also takes some cues form a very different American master of narrative uncertainty, David Lynch, playing with ominous and surreal currents through the character of Joe Kennedy (Bruce Dern), the overbearing elderly patriarch and Mabuse-esque mastermind of the Kennedy clan. First heard gasping a single-word instruction, “alibi,” to his son over a payphone, Joe Kennedy is the power behind his son’s marquee name. Not that Chappaquiddick doesn’t suffer from problems common to run-of-the-mill political biopics, from clumsy expository dialogue to sporadic pacing. (Curran may have the basics of Fincher’s look down, but he doesn’t have his technical showmanship or sense of cause and effect.) The stranger and more corrosive subtexts it locates in the Kennedy circle’s actions in the aftermath of the crash are undermined by its classy restraint, which saps the most conceptually outrageous moments—like a scene that cuts between Kopechne’s dying breaths and Ted Kennedy bathing at his hotel after the accident—of any sense of shock.